My very first serious crush was on Steve White. He was skinny (just like I like ’em), with a nice smile and sparkly eyes that wrinkled at the corners when he laughed. Gosh, I wonder where he is and what he’s doing. I remember that he was good at math and not asking me to be his girlfriend, so I would imagine that added up to some sort of success because I was rather tenacious, and I’m pretty sure he got good grades. I liked him for a long time, seriously, like five years starting in seventh grade, bless his heart. Steve, if you’re out there, I wish you well, and sorry if I was a bit much at times. I was young, and, well, I think I can blame it entirely on youth. Yes, I can. In high school, he drove a Camaro similar to yesterday’s post (though it might have been a Z28, not a SS) – orange with black stripes. It was a grand car – black interior, a nice rumble, hefty doors that made a pleasant sound when you closed them, the works. It even started without a key in the ignition, which led us to believe that previous owners were some sort of thieves that always wanted a quick getaway. I remember him driving fast, and the accompanying feeling of exhilaration rising in my belly. I remember, too, him saying, and me learning for the first time, “You know, it’s possible to go faster than what it says, given the right conditions.” The thought had never occurred to me. Those numbers weren’t the absolute LIMIT? Something could happen beyond them? Mind boggling. You’re probably wondering where I am going with all of this. To cut to the chase (in a 1969 Camaro! 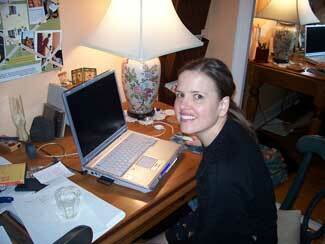 ), I am participating, along with my friend Kelli, in the National Novel Writers Month (NaNoWriMo). For the month of November, it is my goal to crank out the first 50,000 words of my second novel: The Sometimes Sordid History of My Penmanship. This really is like cruising in Steve’s cool car. My belly’s gonna flip-flop for certain. To give you an idea, yesterday’s post was 503 words. I’m going to need 100 times that in thirty days. As a writer, and according to the guidelines, I am starting only with a rough outline, a few locations, the names of the four main characters (Lionel, Cassandra, Joanna, and Calvin), a 1966 Volvo P1800, and a 1954 Chevy 3100 pick-up (If you haven’t figured it out already, I’ve got a thing for cars). The rest, to paraphrase Kurt Vonnegut, is up to me and the hand of God, as 1667 words per day, every single single day for thirty, is no small feat. When I wrote Polite Society (80,645 words), I took well over a year, often going for weeks without touching the keyboard. My best day, if I recall correctly, amounted to 2300 words. Talk about a wiz-bang! Additionally, aside from updates on my word count, I don’t know what it will look like around here. I might, as Steve said, go beyond the limit of my speedometer and have time to spare for blogging and who knows what else (Square dancing?! Fencing?!). On the other hand, I may go out of my mind and never blog again from the shock of it all. In any case, say a little prayer, send me good thoughts, whatever you feel comfortable with. I’d appreciate it! p.s. Just to get me into the zone – that up there is 579 words. I went to my naturopath yesterday and got some rather exciting and disconcerting news. For those who know me, you probably are well acquainted with my tender tummy woes. I get sick pretty easily. The problem was trying to figure out exactly what was making it happen. It was like my body was always changing its mind. One day I’d get sick from wheat, but the next time I had it, I’d be fine. So I tended just to get sick a lot and suffer through the frustration of wondering why. Was it the wheat, oil, corn, oatmeal, potatoes, dairy? Dairy, except for goat milk. Um, no thanks. The rest I have to rotate, because almost everything I eat gets my antibodies atwitter, and I do mean everything. The only foods that registered a zero were cocoa beans(! ), raspberries, strawberries, apples, and apricots. Basically, with the rotation, if I eat it today, I cannot eat it again for another three days. The idea being that my body, with the help of some supplements, will heal itself, and one fine day I will be a normal person who doesn’t vomit all the time or have to think about every bite of food that enters her mouth. I am also hoping that a side effect to all of this will be some weight loss. Though Amber and Becky will probably protest at this, I would like to look like Kelly Ripa (with my head) in the current issue of Shape magazine. She is my height and body type, so I think it is do-able. The scale at the community center currently has me at 122 pounds. That means I’ve got about ten pounds before I hit Ripaville. Why is it always ten? As I went to sleep last night, I got to wondering, is this good luck, bad lucK? Because looking at all those results sure got my heart beating quickety-quick, and this rotation will be a pain in the arse – am I on day one or two? However, in the long run, I think it is good. 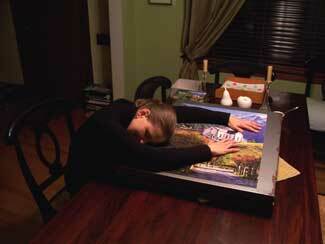 I finally have solid answers and a greater understanding of this marvelous machine I call home. 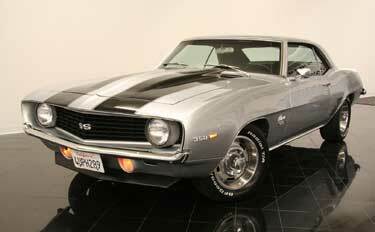 In time, and with proper care, she’ll be running like the oh-so-gorgeous 1969 Super Sport Camaro pictured above. Hear me roar! It began with a phone call, that led to another, and an impromptu dinner party Friday night at Bridget’s. We stayed way past bed time, listening to great music, chatting about all manner of things, receiving “smoothing” lessons from sweet Stella, eating, drinking, and loving it all. 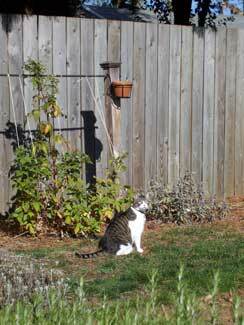 Saturday found us in the yard, attending to the needs of the birds, enjoying the sun with Milo and Paris, before venturing to the other side of town, in search of corduroys, but finding some cake, too. Then there was Sunday, glorious Sunday. Late to rise, we walked over to Sweetness for a bit of a farewell (the reason will come later), before continuing on to the library, poring over books of all shapes and sizes, bringing many home. All the while, we chatted happily – of big ideas, and tiny random thoughts, with sprinkles of kisses and hugs. Yes, this weekend was a keeper of the highest order for the Pollyanna file. How about yours? But not a dollar short! I had intended to show you some of this yesterday, but my camera batteries were dead, and by the time I got them recharged I wasn’t fond of the light. Hence the title, but, as everything has a lovely way of working out in these parts, I got to paint a little more whilst sitting in the gorgeous light you see above. 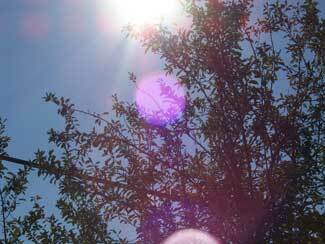 I love when the light looks like that, shining through the apple tree. Judging by the shape of the fruits, we think it is a Red Delicious. It didn’t bear as many as usual this year, which is a bit of a blessing. Trying to keep up with the fruit can be a little crazy – applesauce, cider, chutney, butter, sliced and dried, piles to give away. You get the idea. 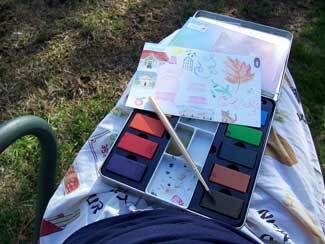 Anyway, you will also notice a little watercolor station on my jammied lap. Yep, jammies. It is 3:11p.m. and I have yet to get properly dressed. I have, however, worked out, gotten two loads of laundry out on the line, and painted in the shade of the aforementioned apple tree. I’m not a total slacker. As for the painting, I took some classes in college, but hadn’t really touched a brush since. When I worked at Clark College, I attended a conference in the Seattle area. We stayed in a kind of icky dormitory, but man-oh-man, did it have lovely grounds that were right on the Sound. In the early mornings, I spied my colleague out sketching, and envied his air of peace and contemplation, really seeing his surroundings. It got me thinking that I’d like to to that someday. Then, when we were in New Mexico this past summer, admiring the landscape, I wished for watercolors to magically appear, so I could capture my interpretation on paper. It’s popped in my head a few more times since, so yesterday, after dropping a package off at the post office, I walked to the art supply store and hooked myself up. In addition to what is on my lap, I bought another pad of paper. A good start. Is there anything you’d like to get back to doing or just try someday? You know what is really neat about being in a wonderful relationship is the time spent together. It doesn’t matter what we do, we always have fun. 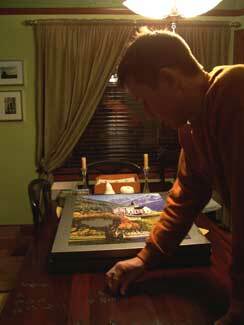 Whether it is a brisk morning walk, doing work around the house, or staying up past bed time to complete a not-so-easy puzzle. It is all good and sweet and wonderful. I wouldn’t trade it for anything.